PlatKOM™(PlatformCX COMMUNITY) is the software platform mounted in TouchALL products(WALL, HUB, TABLE) and SMART Showcase, which the products of TouchALL can be used in company, school or in public offices for various purposes, hence, it is an open type multi-purpose platform that can be used as meeting/education/briefing/digital advertisement/ company work purpose OA equipment and others. 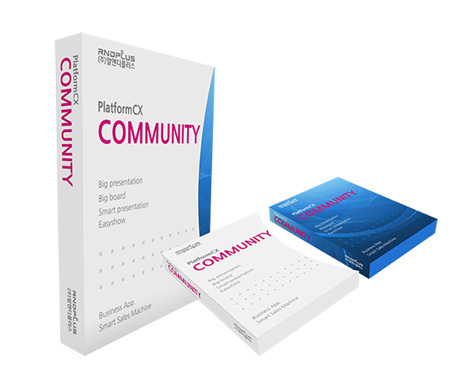 PlatKOM™ solution, that is manufactured based on the PlatformCX COMMUNITY platform, is a software type that uses after installing various function’s application App. that uses the same usage method with android platform smartphone system, which it is a product planned for infinite scalability as a concept according to the later App. development, the familiarization that comes from stability to the user, and the convenience that uses various App. It is an application that shows the innovative presentation’s technology, which have been mounted with the speech synthesis (Text to Speech) function that speaks as a voice when you input a text, and is an intelligent software that automatically does presentation so that the contents that the user tries to deliver to be delivered without any absent in any kinds of situation. PlatKOM™ software is mounted with various applications for the multifunctional use of large touchscreen. It does standard provision of a number of exclusive software such as speaking presentation, electronic board (writing), multimedia EasyShow, electronic guest book, and others, and is progressing constant App. development through its own server. As a shared economy concept, PlatKOM™ supports the Software Application Sharing Service (PlatKOM ™ Application Sharing Service). App. development request is free App. development and supply type’s general request that customer requests generally, custom request of customer owned App. development and supply type which the customer pays certain development cost, App. development and supply type that is requested by general customer or a company certain business performance, which by distributing this App. and PlatKOM™, it supports by classifying as business request sold as commercial purpose. Please inquiry to platformcx@ rndplus.com for detailed information and App. development request of PCASS program. * Each App. 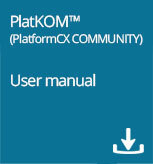 are used by downloading through PlatKOM™(PlatformCX™Community) platform software that is installed. * This App. is the exclusive App. 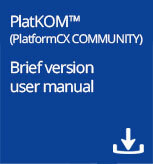 of PlatKOM™(PlatformCX™Community).